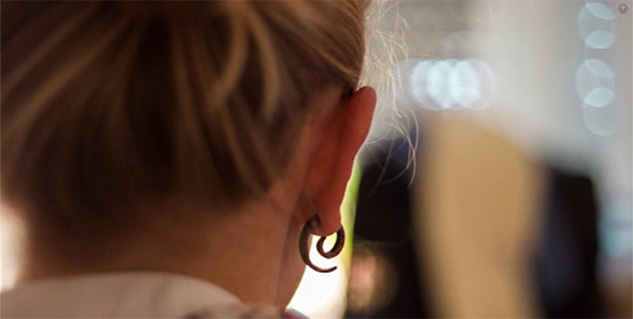 Why do your ear piercings randomly smell so bad and how to get rid of that stink? Clean your ears regularly with warm water and anti-bacterial soap. Use hypoallergenic earrings to avoid any allergies. A pair of right earrings can help transform your look, and that might be the reason why ear piercings are so popular, especially amongst the women. But sometimes a perfectly healed ear piercing might start smelling funky. This can happen due to a buildup of dead cells and sebum in the pierced holes. This smell can range from anywhere between being barely noticeable to your ears smelling like rotten cheese. If you are suffering from a similar problem, some simple steps can help you get rid of that stink. Your skin secrets a natural oil called sebum which can mix with the dead cells in your piercings and cause a buildup. This buildup serves as great environment for bacteria to thrive and hence you end up with the foul smell. Cleaning your piercings regularly with warm water and soap can help prevent these buildups and keep your piercings fresh and clean. If you are already suffering from a case of nasty smelling ear piercing then you can wash your earlobe under warm running water, using an anti-bacterial cleanser. Even if your ears are all clean, the sebum and oils can stick to the earrings and cause bacterial growth. Make sure to clean your earrings once in a while to avoid smelly piercings. You can use anti-bacterial wipes to wipe the grime off your earrings. Many jewelry options for ear piercings such as studs can cause the dead cells to be trapped inside the piercing. There is not room for movement and the bacteria stay trapped in there for long periods of time. Try choosing rings which can move freely and hence can allow your skin to breathe. Also make sure to avoid metals which can cause allergic reactions. Many people have allergic reactions to metals like nickel. This can cause the skin around the piercings to inflame and can be the beginning of an infection. In an effort to make their piercings bacteria free, many people go overboard and end up irritating the sensitive skin on the earlobes. Any harsh chemicals present in the strong antibacterial agents can cause redness and inflammation of already sensitive skin. Your usual soap and warm water are enough to keep your piercings clean. 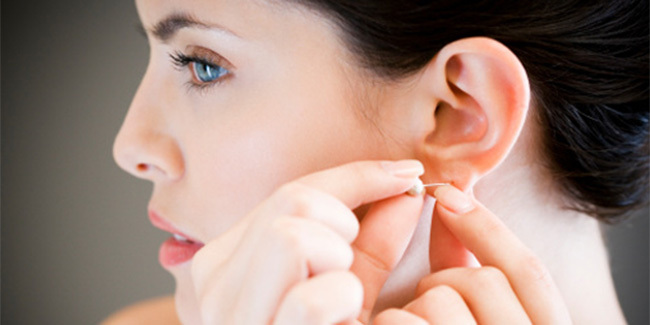 Occasionally, after cleaning your ear piercings do not wear earrings and let your skin breathe for some time. Also, remember to remove your earrings before you go to sleep to avoid the foul smell.